How to Spy Without Jailbreak with XNSPY? Jailbreaking your expensive iOS device doesn’t seem like the wisest of the decisions. While the whole idea of jailbreaking sounds very appealing, doing so can bring forth many unseen consequences. Spy apps would usually require you to first jailbreak the device that you would want to monitor. It’s not a practical choice for many parents and employers to jailbreak tons of devices that they may usually have to monitor. It’s time consuming and would require a longer access to the target user’s device. If you have been thinking of jailbreaking, you might reconsider some of the following dangers. · Jailbreaking your device once won’t be the first and the last time you would be required do so. It’s a cat and mouse chase. Every time Apple comes out with a new update, it nullifies your existing jailbreaking, if you update your device via iTunes. You may have to wait till the jailbreak version of the latest OS arrives, which can take days, or even weeks. · Your iPhone may start to crash due to an unstable jailbreak update; apps can take longer to open. Phone battery may also drain quicker. 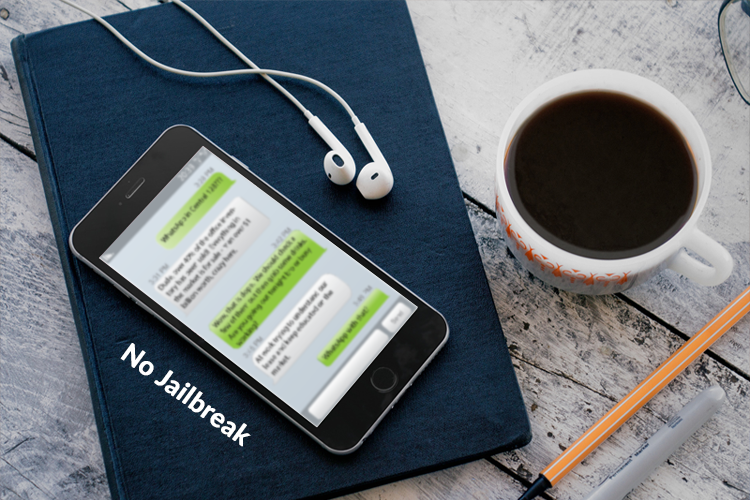 · Jailbreaking a device makes its security vulnerable, taking you away, instantly, from the walled safety of Apple to an abyss of excitement, filled with security breaches, bad apps and malware. · Jailbreaking a device would simply void its warranty. · No installation of any app required. · You can monitor a monitor a device without requiring a physical access to it. · Easy and fast way to monitor. XNSPY NoJailbreak works using the iCloud information of the target user. So after getting your XNSPY license and using the webpage-based Control panel, you can add devices simply by providing iCloud credentials of the each target user. · View call logs of incoming, outgoing and missed calls. · View internet browsing history. · Spy WhatsApp chats, calls and multimedia. · Access photos stored on the device. It may all sound like that NoJailbreak is the ultimate Spy solution, but wait. Like every other thing, NoJailbreak apps have their downsides too. It poses a limit to how much you can spy from the target device. Jailbreak apps can access a lot more data from a device than what iCloud based apps can. For example, XNSPY Jailbreak version lets you record calls, take screenshots, remotely lock and wipe a device, track real-time location etc. The trade-off is very simple. You can get more features by compromising on the warranty, security and power of your iOS device or, you can have intrusion-free, easy monitoring with XNSPY NoJailbreak. If you are planning to spy without jailbreak, you would only be paying $8.33/month for XNSPY’s NoJailbreak version, whereas, Jailbreak apps can charge you a lot more. However, XNSPY’s Jailbreak app also starts from $8.33/month for the basic version and goes up to $12.49/month.